Youth Pinball Night: April 3, 6:00 p.m. at Spinners Pinball in downtown Frederick. All youth are invited to join us for a fun evening of pinball! Youth Advisory Planning Committee: Would you like to be a part of the Youth Advisory Planning Committee? 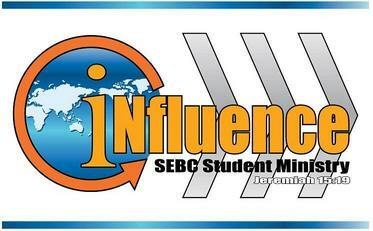 Your input is invaluable to planning the summer for your SEBC youth group! See Joe Daly if you are willing to volunteer! Summer Conferences: Check out our youth conferences section to see what's coming up for the summer of 2019! There are retreats designed for both middle and high school students. Vacation Bible School: The week of June 23, 5:30-8:00 each night. Not only will this be another amazing science VBS (this year, it will be "Faith Lab"), but Middle School VBS is also returning for a 3rd great summer! High school help is always needed and welcome. Summer Mission Trip: The SEBC youth and other adult volunteers are looking to work with Southern Baptist Disaster Relief to helpin the hurricane-ravaged Carolina region. Dates will be announced as we get information. The Youth Ministry here at South End Baptist Church wants to be a ministry on the move! We do not want to be satisfied with the status quo. Rather, we want to know Jesus and His Word in such a way that it makes a radical difference in our day-to-day life. 1 Timothy 4:12 says, "Let no one despise your youth but be an example...in word, in conduct, in love, in spirit, in faith, in purity." That's what we want to do! Over the centuries, a number of the great revivals have been started by youth. We believe that can happen again today. Youth in today's culture are wandering through life like "sheep without a shepherd." Our current culture offers no absolutes, no direction and no answers to life's tough questions. It is our desire here at South End that when a student comes through our ministry, they learn the fundamentals of the faith so they can leave well-grounded in their faith and able to make an impact on their world for the cause of Christ. It has been said that "any fish can swim down stream, but it takes a strong fish to go against the flow." That's what our goal is, to go against the flow with the life-changing message of God's Word. In order to reach this goal we offer multi-grade Sunday School classes for our youth, Awana at 5:30 pm on Sunday evenings September through May, youth conferences each year, and more activities. We hope and pray that the Lord will grow our group into a family as we learn, serve and fellowship together. Please come and be a part of this ministry! The Agape Project is designed to be as broad as it is deep and narrow as it is shallow. Simply stated, the youth of South End must have additional "touch points" in order to grow in the faith more deeply. The goal of this new project is to have every SEBC youth (5th grade - college) connected with other adults, creating a deeper "touch point". Agápe (ἀγάπη agápē) means "love", especially charity. The love of God for man and of man for God. Agape is used in ancient texts to denote feelings for one's children. Agape is used by Christians to express the unconditional love of God for his children. There are so many issues that our young people are facing today. With so many social issues colliding with the process of growing up, it's no wonder that so many of our teens today are facing pressures and confusions we never faced. Increasingly, youth today are finding their faith is becoming more and more irrelevant to them. Children learn to interact with each other while following the lead of their parents. However, with so many social issues making unwelcome intrusions to the family fabric, it is critical for other adults to come alongside to "sing from the same songbook" to give credence to the faith during the middle school years and beyond. Every adult has life experiences which will help guide the youth of today. From successes to failures and everything in between, your interaction with youth from South End will go a long way to not only deepening their faith, but also keeping them in the faith for life. The ties that are built during these years can counter the tragic trend that is seen today - when so many leave the faith in the post high school years.